As an active member of the San Francisco Chamber of Commerce, Aion LED made its name as an innovator and industry leader in cutting-edge linear LED lighting solutions. Cutting edge manufacturer of performance-optimized luminaires, member of Ka Shui International Group. AV Poles and Lighting is a manufacturer of commercial grade lighting poles and fixtures. Made in the USA. Custom Pendant Lighting for Hospitality, Restaurants and more. Efficient Lighting manufactures and distributes interior and exterior LED and CFL lighting fixtures. Established in 1996, Garden Light LED is a low-voltage LED architectural and outdoor lighting manufacturer located in Tampa, Florida. Our products include energy saving controls and building automation lighting controls. 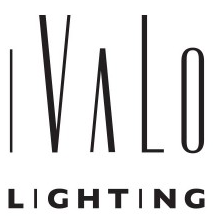 Ivalo Lighting designs and manufactures decorative fixtures for indoor and outdoor applications providing aesthetic solutions. As a select Lutron fabricator partner, Krohns provides a broad range of motorized shading solutions to both the home and commercial automation industry. 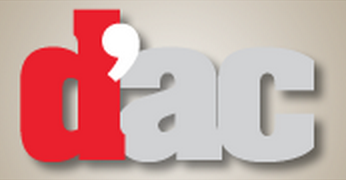 Your Best Source for Pro AV infrasctructure products and services. Run with us for products from Liberty Wire and Cable. A leading designer and manufacturer of emergency lighting systems that are specified and installed throughout the United States, driven by stringent quality control standards. Leader in the lighting control industry and offers a wide selection of energy saving dimmers and lighting control solutions. US-Made state-of-the-art architectural lighting products in suspended, recessed, and wall-mounted applications. Emergency, commercial and industrial battery and lighting products, since 1923. Integrated Home Control Systems including thermostat, alarms and home security. Peerless Electric is a leading lighting solutions provider specializing in the manufacture and supply of lighting fixtures for the commercial, industrial, institutional and residential markets. PMC has earned a reputation for innovative design, quality craftsmanship and creative adaptability. Manufactures energy efficient commercial lighting fixtures. Specialising in outdoor lighting and represented in 33 different countries. SeeLess leverages the beauty and quality of plaster to create revolutionary plaster mounting solutions designed to seamlessly embed in-wall wiring devices. Solartonic develops innovative solar photovoltaic products and systems for buildings, parks and streetscapes. Residential solar-charged battery backup systems. Quality and performance first for our customers. Since 1903, Voigt Lighting has manufactured commercial, outdoor, decorative, and LED lighting fixtures in the United States. Through superior design, manufacturing, and sourcing of LED lighting technology, we provide high quality, low cost, and energy efficient lighting products while delivering exceptional service to our customers.